If you’ve been keeping up with moi on my social media channels, you’ll know that I’m currently hella stressed about moving out of my apartment. However, silver linings and all that, I’ll soon have a brand new place to snazz up and I seriously cannot wait. I’m big on modern, minimalist interiors, and with so many new Spring/Summer inspired decor releases, I just can’t help but start browsing for pieces now! So when Fishpools challenged me to create my very own SS16 living room mood board, I couldn’t wait to get started. After having a very, very thorough browse around the internet, here are my top picks – enjoy! As soon as I spotted this sofa on the Fishpools website, I could seriously imaging lazing on it in my home. I’m a massive fan of leather sofas simply because they’re so much easier to clean (I am usually a mess & spill everything). 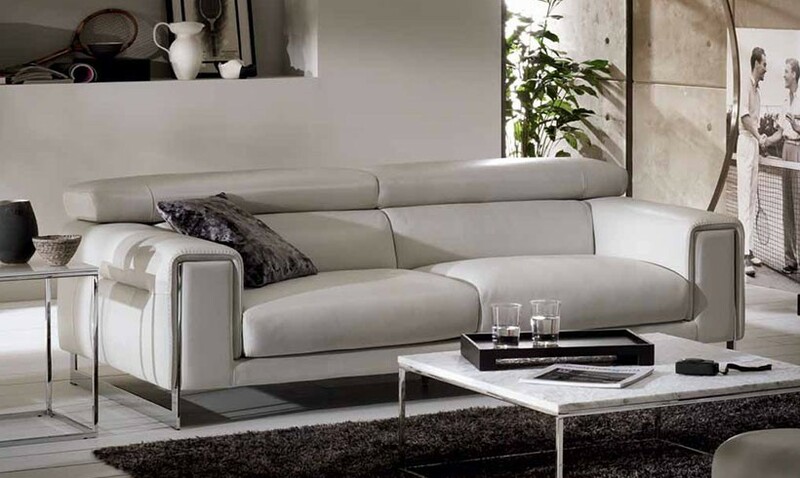 And even though this sofa is pretty easy to maintain, I would definitely opt for a soft grey tone for hiding any eventual discolouration. This would definitely make this piece last and last, and with its modern shape and neutral tones, it’s bound to fit into a variety of home decor styles. Plus, this one just has that really high end luxe feel. Whilst I do love a recliner sofa, the metal stand on this one is just so geometric – How could I not swoon, right? Does anyone else think H&M Home is the bomb right now? 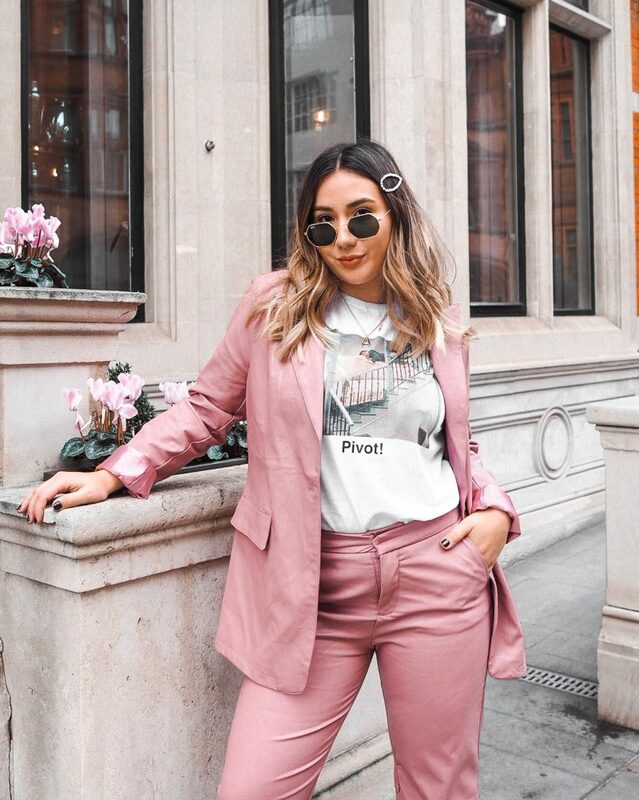 I have been seriously lusting over pieces from their collection for months now – and soon I’ll have a reason to have a much needed homewear splurge, ahhhh! A pair of these cushion covers is definitely top of the list, as I always seem to find the cutest covers in H&M. I mean, come on, how cute would these cushions look on the sofa? It’s official. 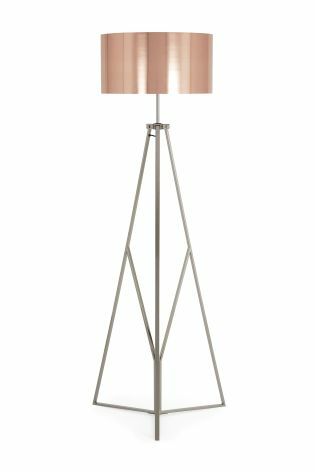 I’m completely in love with tripod-stand floor lamps. There’s something oddly nouveau, yet thrifty about them. They provide ample evening lighting, and act as a piece of interest too – kaching! This one features an on-trend chrome base, with a copper/rose gold shade which adds that perfect metallic edge – yaaaas! If you haven’t heard of B&M yet, where have you been gals n’ guys?! 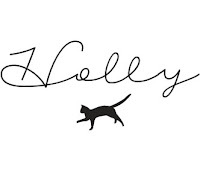 This store is all over the blogging world at the moment, and for a good reason. They have the most beautiful homeware pieces for a fraction of the price of many home store, uh-huh honey. I picked out a few storage baskets as I’m one of those gals who is always cold. No matter how warm a home is, I need a blanket on me. So it’s great to have them stylishly stored, but easy to access when I get a shiver on during a nighttime Netflix sesh. 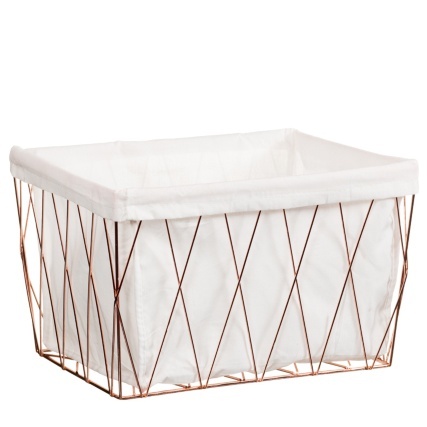 This one has a very on-trend copper structure with a soft white lining, perfect for storing fluffy blankies and at £5.99, you really can’t go wrong. The last thing on my SS16 living room list is a rug. I really do feel that a rug makes a room feel 100% more homely, however they can easily date a room if you don’t choose well. I feel like anything faux fur has cosy, comforting vibes whilst keeping to the modern theme. I would opt for a grey tone as I did have one of these in white, however it did gather dust way too easily and ended up looking very off-coloured, whereas a grey won’t attract too much attention to dust in between cleans! 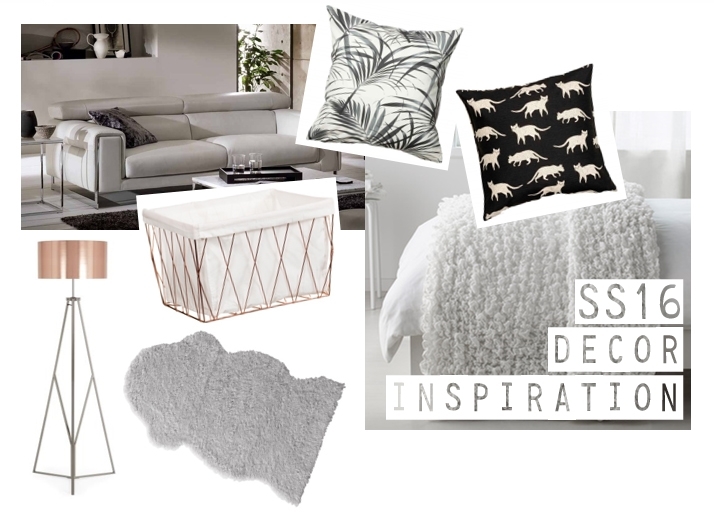 Which pieces have you got your eye on for SS16 inspired interior design?